Construction is fast approaching Big Sky High School. The construction to the school is starting April 5th, but getting roped off and signs put up on April 1st. Construction will be expected to finish sometime in September. 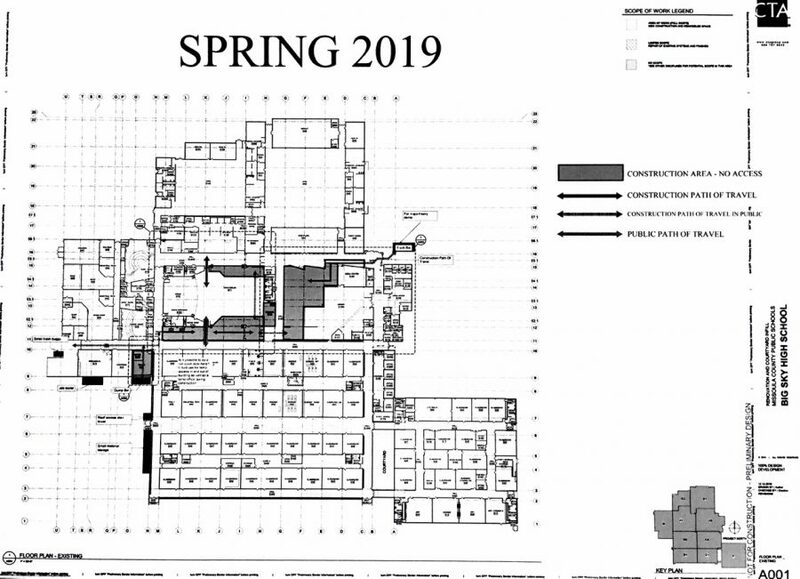 Areas of construction is will include the drama room, cafetorium, and the library courtyard. This is all according to a staff meeting. According to Karen Sweeney, later construction will include the front office that will add large glass doors that you will need to be buzzed in. Later projects will be started if there is enough funds by the end of construction.